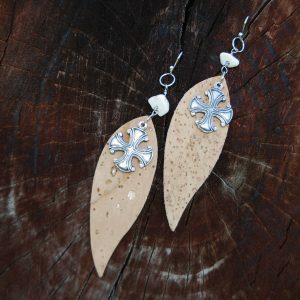 that are sure to attract attention. 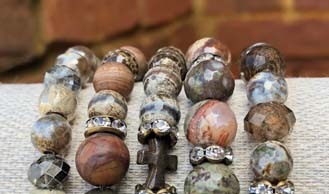 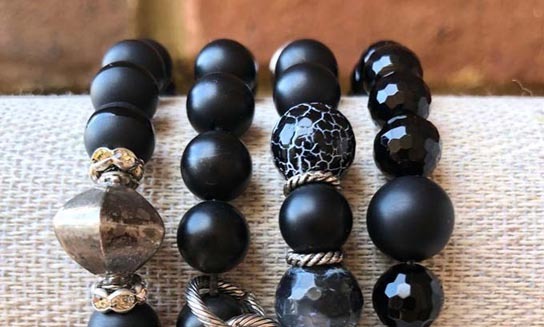 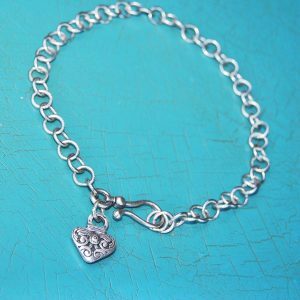 Our bracelets are fashioned using uniquely crafted beads and natural metals to make vivid, eye-catching jewelry. 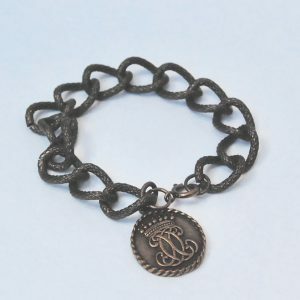 Accessorize your outfit with something BOLD. 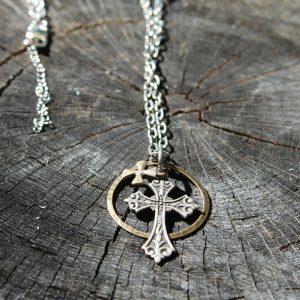 Dixie Darlins' necklaces are unique in design and striking in character. 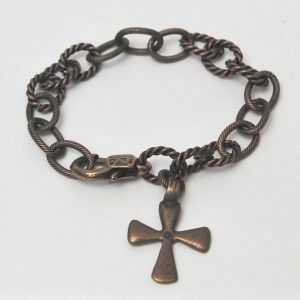 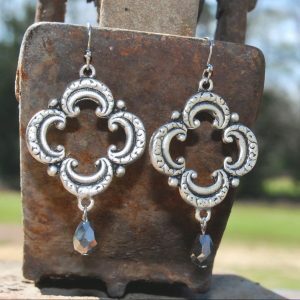 We use rustic metal accents and beautifully crafted beads and studs to create jewelry for any occasion. 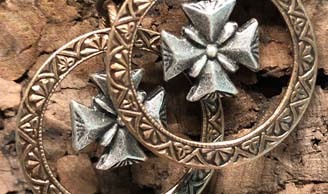 Whether it's distinctive metal studs or intricately crafted designs, our earrings will give that little extra touch to accessorize your outfit from ordinary to extraordinary. 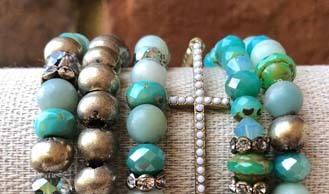 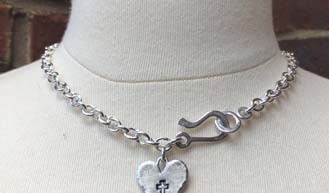 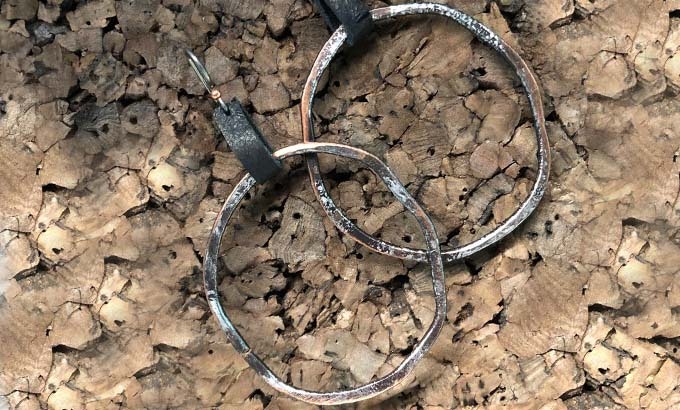 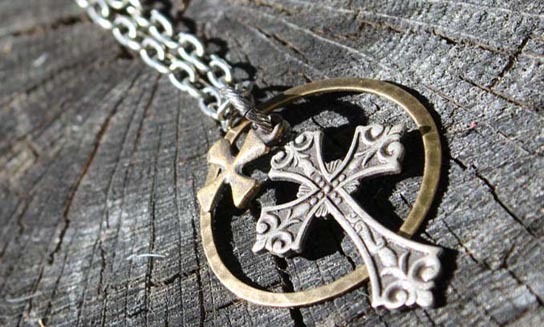 Dixie Darlins offers hand-made, customized jewelry with a little added southern charm. 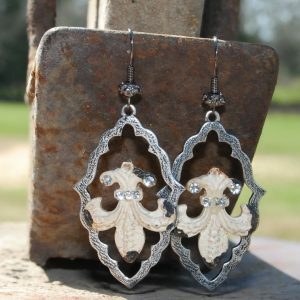 Whether you’re a backwoods-loving country girl, a glamorous city lady or anywhere in between, we have something for you. 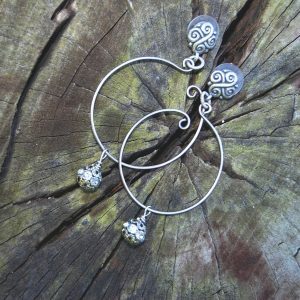 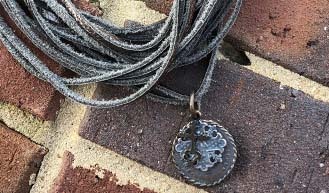 Our designs are both bold and unique to create jewelry that will stand out as a wardrobe accessory. 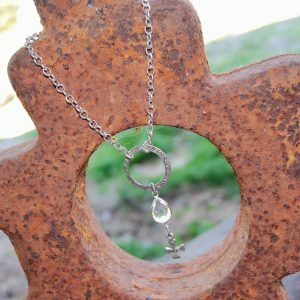 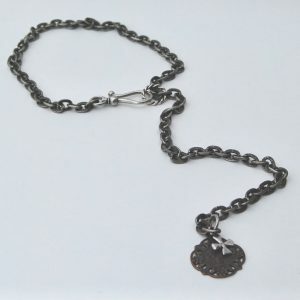 Dressed up or dressed casual, Dixie Darlins jewelry will set you apart from the crowd. 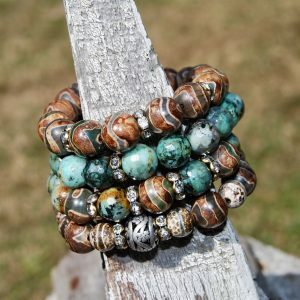 Turquoise, Antique Bronze, Textured Charm, Black Onyx, Faceted, and Matte Beaded Bracelets. 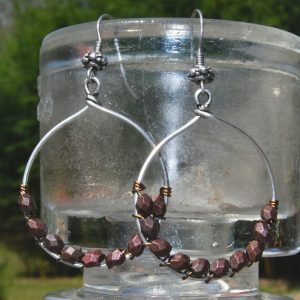 Antique Sliver, Patina Hoop, Bronze, Sliver Hoop, Multi Strand, and Fringe Earrings. 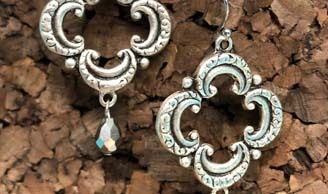 Antique Sliver, Crystal Beaded, Turquoise, Hand Beaded, Black Onyx, and Drop Necklaces.